“This extraordinary timing suggests a maximum alert level,” wrote Dr. Isabelle Catala of Medscape Medical News. Review of the medical response to the ISIS-coordinated Paris terrorist attack has illuminated one extraordinary success cloaked in the horror of this mass tragedy. The Parisian SAMU, the public crisis cell at the Assistance Publique-Hôpitaux de Paris (APHP), and their emergency medical response plan—called “The White Plan”— was able to organize in minutes, saving countless lives. At 9:30 PM the APHP received word of explosions in the Saint-Denis soccer stadium, the first of the wave of explosions and shootings to come. By 10:34 PM all hospitals had been mobilized. Triage and on-site emergency care were established at the Stade de France and other ground zeroes with the help of 45 medical teams each composed of a physician, nurse and driver, according to the Lancet. 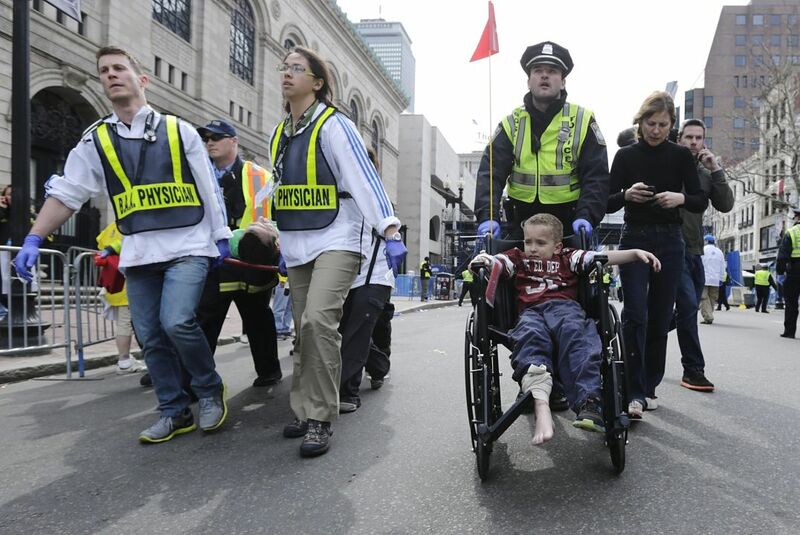 Of the 302 injured patients treated that night, only four deaths were reported. That’s a one percent mortality rate. The White Plan and the mass mobilization of expertise and equipment tell the story of a city prepared for disaster. While no city wants to expect mass shootings and explosions in its streets, the Parisian plan provides a shining example of preparedness—right down to the dress rehearsal that occurred hours before the real attack. But while Paris can rest (relatively) easily knowing that its emergency medical response provided a uniform, rapid and indisputable statistical success, there were other victims of terror this fall who have less positive evidence to ease their pain. The day before the Paris terrorist attack, 43 were killed and 239 wounded when two suicide bombers self-detonated in the Lebanese capital of Beirut. During a non-terrorist health threat in Guinea-Bassau, 20 of 125 acutely ill-children died en route to a hospital. In both, Guinea-Bassu and Beirut, there was no triage, and no pre-incident dress rehearsal. While media continues to struggle over equality of coverage between Lebanon and Paris, it seems little attention has been given to the equality of medical response. On one side is a professionalized fleet of experienced personnel and transport teams, and on the other a “fog of terror” that can cost attack victims their lives, even after the initial blast. The Parisian response has been lauded on its uniformity and thoroughness (efforts were concentrated in all relevant terror sites, not just the first few to occur), conversely, responses to terror attacks in Lebanon have been described as “lacking uniformity” and “needing improvement in incident management.” Experts have argued that there is a professionalization of emergency response in places like Paris—especially when it comes to transportation. Reports on the management of emergency medicine in developing countries particularly emphasizes the importance of transport. Paris was able to move 256 wounded people in their 45 medical units. There were even 15 “reserve teams” ready to active at at moment and triage sites to treat people before even reaching a hospital. For comparison in Mexico, typical transport time can be as long as fifteen minutes. In Mexico, it is estimated that as many as 70 percent of injury-related deaths occur in the field or en-route to hospitals—even in the absence of terror attack that provide extra-stress on medical systems. Similar reports from the International Medical Corps working in Syria show that many patients arrive to their improvised field hospitals on their own accord—or by good Samaritans who bring them in personal vehicles or even on foot. “Often neighbors, friends, or relatives take the wounded from field hospitals inside Syria to the border, where Jordanian ambulances wait on the other side to transport them,” reported the New York Times. In France, the majority of those who made it into a transport vehicle made it out alive on upon arrival. They were minutes away from a hospital. This is not the case in Beirut, Mexico, Guinea-Bassau or Syria where medical teams could be miles away and crucial minutes are lost in the transportation process. So, what resources can nations use to arm themselves against the lasting effects of humanitarian crises? Or more importantly in some cases, what would these resources cost? Evidence seems to show that an effort on transportation and communication is both cost effective and live-saving. In the early nineties, Mexico implemented their own universal distress phone number (like our “911” and sought to double the amount of emergency vehicles and dispatch stations. The time in transit to a hospital decreased to 9 minutes and as much as 2 minutes in some neighborhoods. The amount of patients who died en-route was halved (from 8.2 to 4.7 percent). The price was a 16 percent increase in the ambulance service budget, a number considered “minimal” by the Journal of Trauma-Injury Infection and Critical Care. While the sources of the Parisian White Plan required resources that may lay outside the budgets of many developing countries, there are some quick fixes—like emergency dispatch centers, a common telephone number and increasing ambulance counts—that may open the door toward a new level of preventative security in the places that need it most.